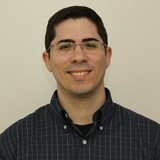 Abner contributes extensive experience with relational database technologies to the development and design of the Community Science Institute website and its database web application. Abner relies primarily on the Ruby on Rails platform and his experience with server-side programming languages to create back-ends to support rich internet experiences. Abner is a skilled web applications engineer with a love of clean code and strong fundamentals in object-oriented programming. His passion is to make beautiful products and to bring critical thinking to real challenges. His love of technology comes from his considerable experience as a polyglot programmer; his palette is forever expanding with newer, cleaner, and more efficient coding techniques. Abner also possess a knack for describing complex concepts in a way that non-technical audiences can easily grasp.